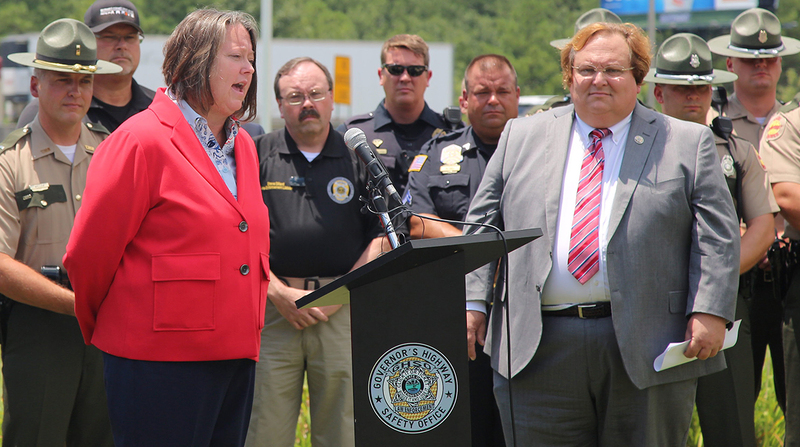 The July 17-23 beefed-up enforcement effort, “Operation Southern Shield,” is funded by a special grant from the National Highway Traffic Safety Administration. The purpose of “Operation Southern Shield” is to increase enforcement during this heavy vacation travel period when the rate of fatal crashes is highest throughout the Southeast, primarily targeting the region’s major highways and high-risk locations. Alabama, Florida, Georgia, South Carolina, and Tennessee are participating in the effort. For more than two decades speeding has been involved in approximately one-third of all motor vehicle fatalities, according to NHTSA research. In 2014, speeding was a contributing factor in 28% of all fatal crashes, and 9,262 lives were lost in speeding-related crashes, the agency said. In Tennessee, the number of speed-related fatalities increased by about 8% from 2012 to 2015, according to the Tennessee Integrated Traffic Analysis Network. And in Georgia, NHTSA said, the number of speed-related fatalities increased nearly 50% during the same time period. Harris Blackwood, directer of the Georgia Governor’s Office of Highway Safety, said some of the heavy enforcement corridors will include Interstate 20 from Florence, S.C., to the Mississippi state line; I-75 from the Kentucky-Tennessee border to South Florida; and I-95 from the Virginia state line to the Miami area. In 2015, 48,613 drivers were involved in 32,166 fatal crashes, in which 35,092 people lost their lives, NHTSA said. Of that total, 18% of the drivers involved were speeding, and 27% of those killed were in a crash involving at least one speeding driver. The consequences of speeding are far-ranging, according to NHTSA. They include a greater potential for loss of vehicle control, reduced effectiveness of occupant protection equipment, increased stopping distance after the driver perceives a danger, increased degree of crash severity leading to more severe injuries and increased fuel consumption/cost. During the operation, THSO will increase speed-related messaging to promote awareness and education.